The Toyota Country Music Cavalcade is an iconic Festival event and a fantastic opportunity to expose your business, products or services and become actively involved in the festival. 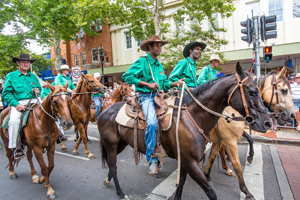 The Cavalcade is designed to be a colourful and exciting event which features many country music stars and attracts thousands of festival fans along Peel Street, Tamworth. 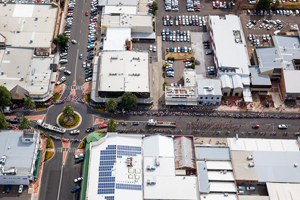 The 2019 Toyota Country Music Cavalcade was classified as a Class 1 Special Events organised by Tamworth Regional Council on Saturday, 26 January 2019 at 9:00am, started from the corner of Peel and Hill Streets. The Cavalcade travelled north along Peel Street, at walking pace, to the intersection of Peel and O’Connell Streets. The dispersal area was in Peel Street between O’Connell and Bligh Streets. The theme for 2020 is yet to be decided! 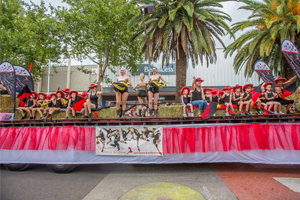 Participants are encouraged to plan their float designs around this theme, including what they believe reflects and symbolises the Tamworth Country Music Festival. Participants are encouraged to have fun with their designs and ideas. The float designs are only limited only by the imagination! The 2020 Toyota Country Music Cavalcade operates under strict guidelines and control measures for float entrants. Tamworth Regional Council has undertaken a comprehensive risk assessment for this event. On event day, emergency vehicles can access all intersections to Peel Street except for, Fitzroy Street between Kable Avenue and Marius Street.